Two years on from his last release, Canadian superstar Michael Bublé returns with a new album, simply entitled ‘Love’. The crooner has a habit of dropping albums just before Christmas and his latest is no exception, landing at retailers everywhere in mid November. Expect him to claim the No.1 position on Saturday November 24 as a result. 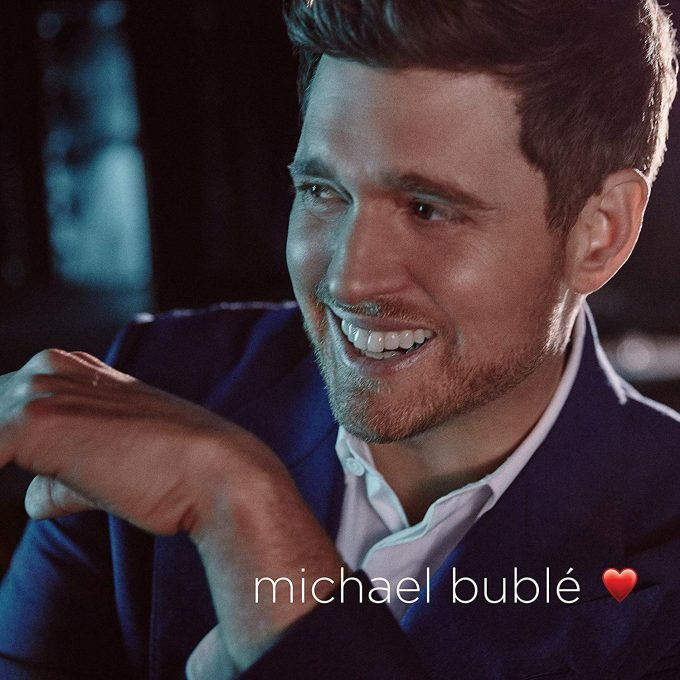 ‘Love’ contains a range of classics from the American Songbook, including ‘When You’re Smiling’, ‘My Funny Valentine’ and ‘When I Fall In Love’, along with an original (‘Forever Now’). It will be available in 11 track standard and 13 track deluxe versions, the latter comprising ‘When You’re Not Here’ and ‘I Get A Kick Out Of You’ as extras. The album was produced by Michael, alongside Jochem van der Saag and the legendary David Foster. The first single, ‘When I Fall In Love’, was serviced to Australian media this morning at the same time as being made available as a grat track with the album pre-order. Look for ‘Love’ landing at retailers across the planet on Friday November 16. Previous Post: « WANT SOME JESSIE J THIS CHRISTMAS DAY?